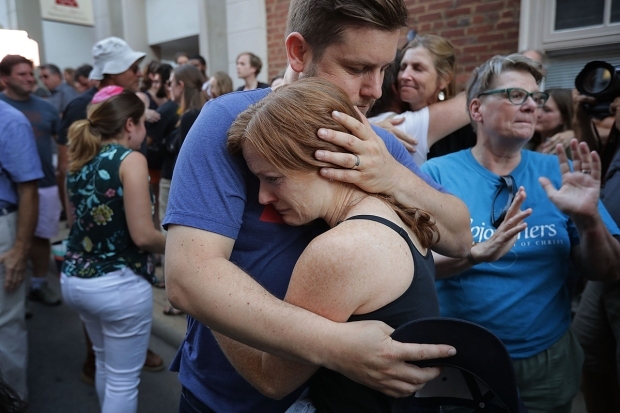 One of the Virginia State Police troopers killed when a helicopter deployed as part of the large-scale police response to the violence in Charlottesville crashed Saturday had a lifelong passion for law enforcement and flying. A picture of Berke Bates taken in his Prince William County home when he was a toddler shows it. “When he was two, he had a little police helmet that he would tool around in his little pedal car with,” said his brother, Craig Bates. But young Berke didn’t want to stick to the ground, his brother said. He also wanted to fly. “When he was 10 years old, he saw ‘Top Gun’ and just was smitten with aviation, with the F-14s and everything else,” Craig Bates said. On the Virginia State Police force since 2004, Trooper Bates got his dream job flying a state police chopper in late July. As the protests heated up Saturday, Bates and Lt. Jay Cullen monitored the situation from the sky, but something caused the helicopter to go down, killing both men a day before Bates’ 41st birthday. “Words can’t really describe how proud we were of Berke and all he was able to accomplish,” Craig Bates said. In remembering Trooper Bates, don’t be fooled by his serious trooper photo, his brother said. Trooper Bates had a warm, loving spirit. “Just yesterday I thought about something and started to text him and just kind of caught myself … and just, I wasn’t going to be able to text him, which was a real hard moment for me,” his brother said. Trooper Bates is survived by his wife and twin children. His funeral is scheduled for 11 a.m. Friday at St. Paul’s Baptist Church in Richmond. Interment will be private. 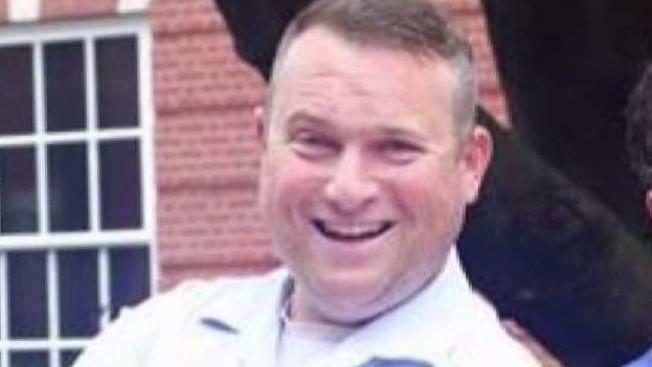 Lt. Cullen’s funeral is 10 a.m. Saturday at Southside Church of the Nazarene in Chesterfield. His interment also will be private. The Virginia State Police Association is accepting contributions to support the families of Bates and Cullen. Mail checks with Jay Cullen and/or Berke Bates in the memo to: VSPA ERF at 6944 Forest Hill Avenue, Richmond, VA 23225. Donations also can be made through PayPal. Indicate Lt. Cullen and/or Tpr. Bates in the comment section.